I have a BSc Honours degree in Psychology and a Diploma in Person-Centred Counselling from the Metanoia Institute. 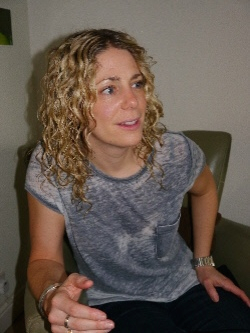 I've been a practising counsellor/therapist since 2007, working mainly with clients at a local agency setting and also in private practice at home. Alongside this I have worked in the corporate sector for many years, giving me a specific understanding of the demands inherent in that world. I am committed to on-going professional and personal development. I undertake various annual training courses to improve and enhance my practice and collaborate in a monthly development group with fellow counselling colleagues. I am a registered member of the BACP (British Assocaition of Counsellors and Psychotherapists) and fully adhere to their guidelines and practice in line with the BACP ethical framework. I am a person-centred counsellor. In short this means I always work with you as the focus. I believe that you are the expert on yourself, not me, although you may not feel that way at the present time. The content of the sessions is determined by you and we work together with whatever you choose to bring. I will not criticise or judge you and whatever you bring to our sessions is completely confidential. 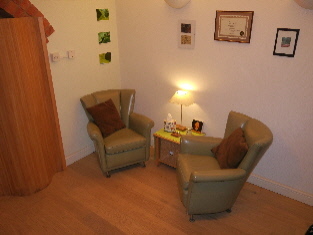 I aim to create a space where you feel safe and where a trusting relationship develops between us. Through your experience of this relationship, where you will feel valued and understood, you will begin to see things in a different way, perhaps shedding light on old issues and potentially enabling you to find a solution or acceptance. Working with a counsellor is different than talking to a friend or relative. Friends have different motivations, usually wanting the best of us but often giving their own take on what that is, which can then lead to more confusion. As a professional counsellor my sole focus is you and understanding how things are for you from your perspective. Our relationship is based only on our time working together, so the difficulties that are apparent when talking with someone you know and who is connected to your life are not there. The experience of counselling and the counselling relationship enables you to hear and reconnect with your 'self', what you want and what feels right for you.